In black in white..er..okay orange and white, Luda is officially on Georgia’s lawmakers’ minds. 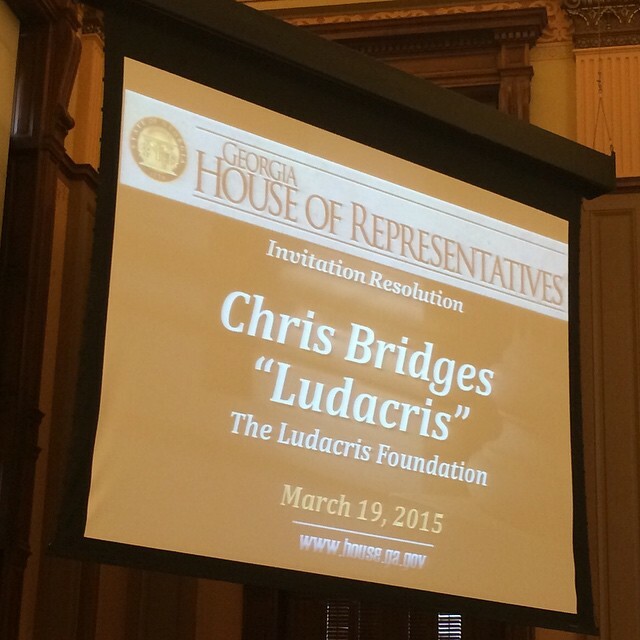 Ludacris goes to Washington. Not quite, but he did cozy up to a Bush (Jeb, if you’re interested) right after being honored at the Georgia state Capitol for the Ludacris Foundation’s work with kids. Lawmakers patted the Rollin Out rapper on the back for inspiring at-risk children to look beyond their circumstances with his philanthropy. Ludacris told Fox News his Foundation teaches kids to not wait on “government institutions, social programs and politics alone” to solve community issues. Following Luda on the podium was 2016 presidential candidate–and brother to George Bush who the rapper once called “mentally handicapped” in a song–Jeb Bush. Also there to stand by her hubby was Eudoxie. Awww her pregger bump is starting to show. 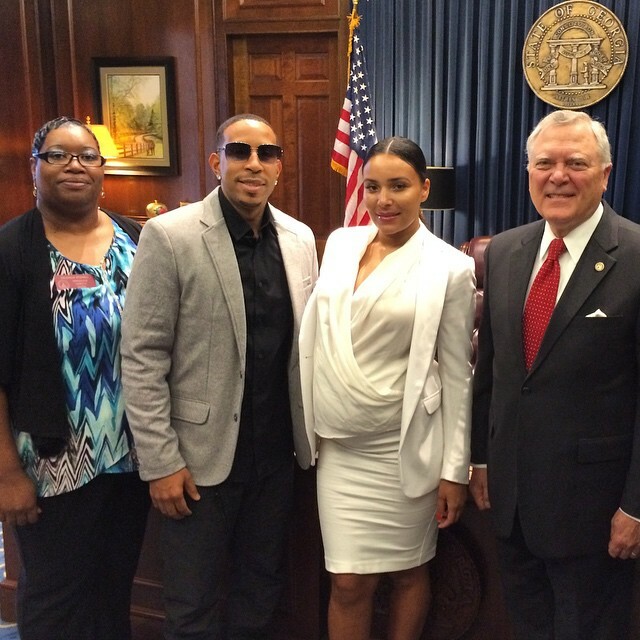 Ludacris surrounded by lawmakers and pregnant wife Eudoxie. The Bridges have a lot to celebrate.